Lisa Loucks Christenson is a National Award-Winning Author and Photographer, and Creator of Nitoti™ an inspirational story about capture, hope, friendship, and freedom. 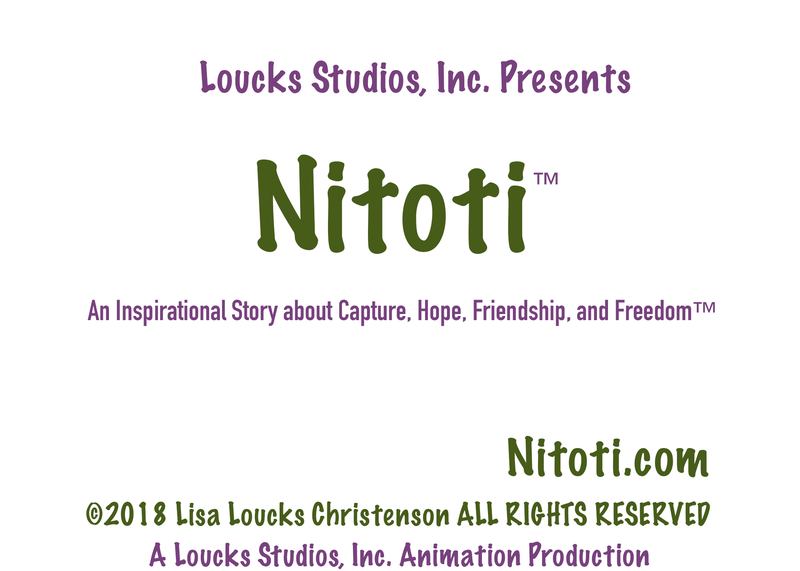 Lisa is the author of several book series for children (Harley Hippo & the Crane Game, Bow Wow Detectives®, Wolves of Whitewater Falls™); she is a wildlife documentary filmmaker, and the author, photographer and illustrator of several books about wildlife and humans, pets and people, among many award-wining inspirational and suspense stories. Home Lisa Loucks Christenson Loucks Studios, Inc.